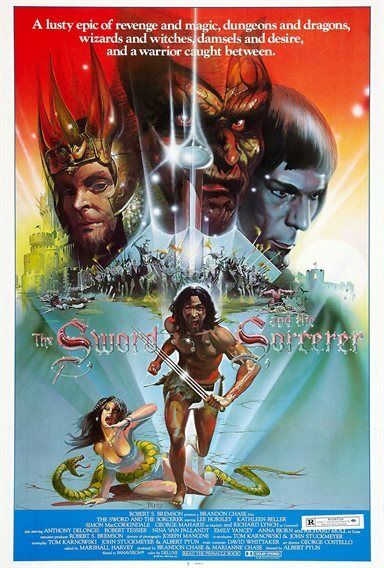 Eleven years after his father is slain in battle, young swordsman Talon (Lee Horsley) vows to reclaim his kingdom from the corrupt ruler (Richard Lynch) and diabolical sorcerer (Richard Moll) who seized the land and took a princess (Kathleen Beller) hostage. Armed with a special three-bladed sword bequeathed to him by his father, Prince Talon rallies a small band of soldiers to take on the formidable tyrant. The Sword and the Sorcerer images are © Group 1. All Rights Reserved.